The RSSearch! 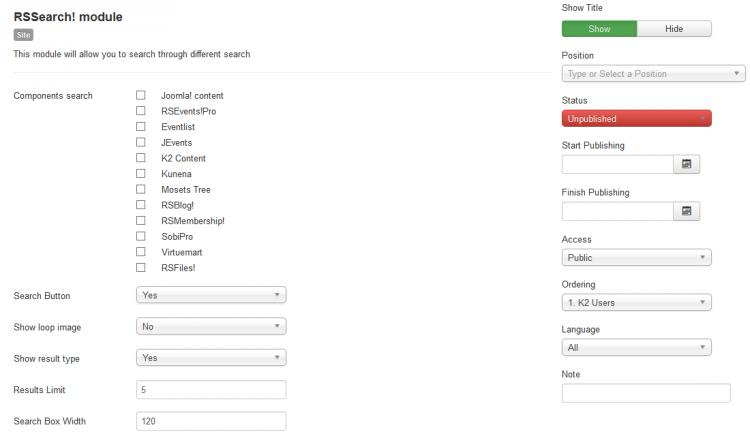 module allows you to place the searching form almost anywhere on the frontend of your site. Components search: if installed, RSSearch! 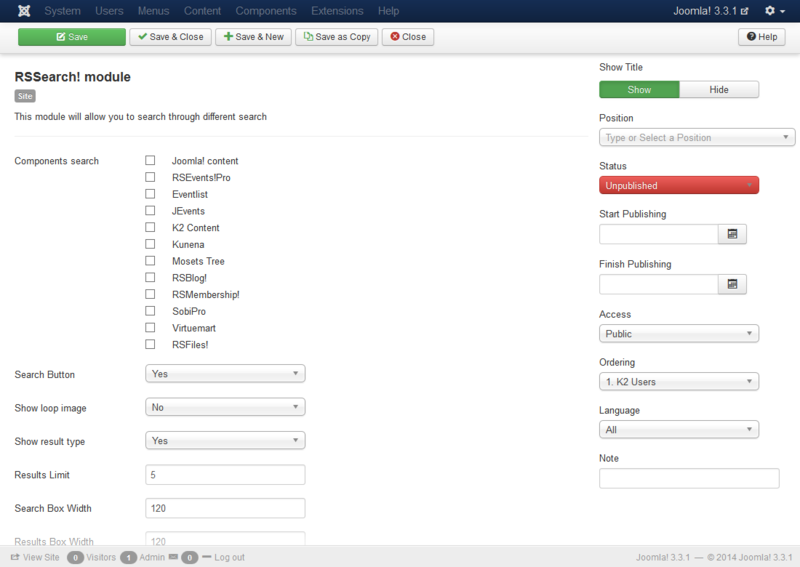 can generate results from the following areas (components): RSMembership!, RSEvents!Pro, standard Joomla! Content, K2, RSFiles!, Kunena, Mosets Tree, RSBlog!, SobiPro and Virtuemart.